The three sections of this brochure are folded alternately, forming a fan or zigzag fold. The panels give a total of 6 printed pages. 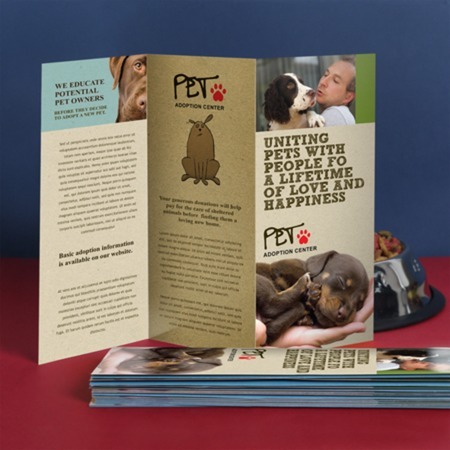 Z fold brochures are ideal for business owners who plan to insert the prints in envelopes. The most popular material for zigzag brochures is 100 lb. paper gloss; and 8.5” x 11” is widely used in different businesses and industries. Upload your design in our site and we can check if your design is print-ready. No design yet? Check our online design tool or download our Z fold brochure templates to create your own. Call us at 1-888-888-4211 or chat with our friendly customer service representatives for help.